No Setup Charge, no filming charge. You can add Multiple designs in 10 cm x 10 cm area. No additional charges. You will get the PCB in Rs 1500 including all. Delivery 7 days. Get your protopcb done by Photozone with quality and on time. PHOTOZONE GRAPHICS was established in 2009 with the aim of producing QUALITY PRINTED CIRCUIT BOARDS ( PCB) & deliver the same on time to customer. The company has registered and consistently upgrading quality to satisfy customers needs. The plant is located at Badlapur MIDC, Thane ( India) it is approx. 60 km from Mumbai. 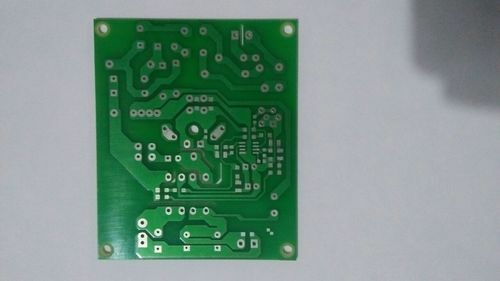 PHOTOZONE GRAPHICS produces Single sided , Double sided (PTH) and Multilayer PCB’s as pre customer requirement to Electronics and Automotive Industries in India and Metal clad PCB’s Produces for various types of LED lamps & Street light applications.